Located on the banks of the Ohio River, Cincinnati was incorporated as a town in 1802. It became a major stop on the Underground Railroad and the gateway to the North for thousands of African Americans during the Great Migration after the Civil War. 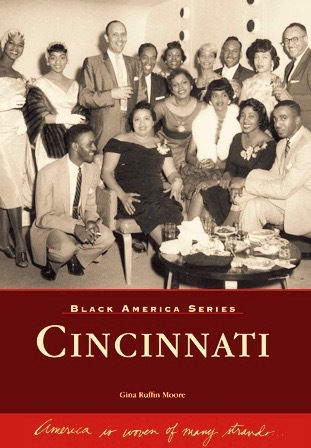 Cincinnati’s African American heritage is revealed here through fascinating images of African American life in the community, churches, education, politics, entrepreneurship, civil rights, community benevolence, and sports. A freelance writer and author of two teacher’s guides on black history, Gina Ruffin Moore has a long-standing passion for local history. 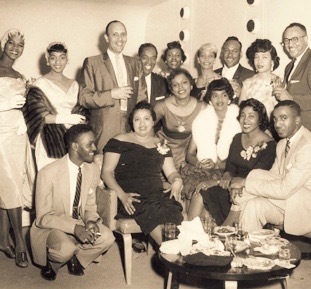 She acquired the vintage images in this book from archives, libraries, and private collections. Moore currently works for the City of Cincinnati and is a longtime resident of Cincinnati who is active in her community, where she serves as a member of the Woodlawn Planning Commission and a member of Mount Zion Baptist Church of Woodlawn.